Packaging is essential to protecting, preserving and even marketing goods and brands in markets ranging from food and beverage to household products to agriculture to pharmaceuticals. But if you’re not familiar with the packaging industry, it will probably surprise you to learn that there are many pieces of equipment that help it bring it life. There are the likes of extrusion machines, which work to create film and other materials that are used to create packages. Next comes the pouch-, bag- and paper converting machines that turn the materials into functional packages. Printing and lamination likely also occur throughout the formation of the package, and eventually the finished package will go on to be filled and sealed. Following this step, they may also be wrapped. Packaging wrappers are typically end-of-line machinery components that are either designed to group products to aid retailers in shelf organization and replenishment (think: bottled water) or to seal the product with a wrapping altogether (think: fresh meat on a tray wrapped in film). They may also be used to wrap pallets and cartons to make packaged goods easier for shipment. In many ways, these packaging wrappers are somewhat of an unsung hero in the packaging industry in that they provide an essential, yet very taken-for-granted function. While most packaging wrappers work with film or shrink wrap, other materials may include foils and paper, though these aren’t as widely used as film. But while packaging wrappers may sound simple, they are available in a bevy of different styles and varieties. As we noted above, some wrappers are designed to shrink wrap pallets or cartons, while others are designed to group products together to make it easier for stores to stock and re-stock on shelves. With all that being said, this post is designed to take a closer look at the different types of packaging wrappers that are commonly utilized in the industry. There are four main types of packaging wrappers that are utilized in the packaging industry. More information on each type is as follows. Flow Wrappers: Flow wrappers are generally high-speed, work with smaller sized packages and products and normally perform more functions than just wrapping and sealing a product. In addition to the wrapping and sealing of a product, flow wrappers also often perform form and fill functions too. While flow wrappers are a general type of wrapper, there are many sub categories of flow wrappers to meet the needs of any packaging facility. Some flow wrappers are more designed for entry level companies that want to speed production, where others are much more specialized. High-speed flow wrappers are also available, and these machines are ideal for larger companies that have stricter timelines to meet. The likes of candy bars, ice cream bars, cookies, muffins and smaller medical devices and industrial goods are all ideal candidates for flow wrappers. Flow wrappers generally come in horizontal and vertical configurations. Over Wrappers: Over wrappers are primarily used to seal fresh food as a means of reducing potential contamination and ensuring long-term freshness. Noting this, over wrappers are typically used with meats, poultry and other foods that are packaged in trays. These over wrappers work with film, stretching it over the tray and then heat sealing it to the bottom of the package to lock in freshness. Aside from locking in freshness and extending the product’s shelf-life, many consumers like the fact that packages wrapped this way enable them to actually see the product they’ll be purchasing or are considering purchasing. Most over wrappers are small enough to fit onto table tops, although floor models are available as well. Shrink Wrappers: Shrink wrap machines work with shrink film. They work by stretching this shrink film over the product – or pallets of products – in question, then apply heat so that the film essentially “shrinks” over whatever it is covering so that it fits tightly to the product. Shrink wrap may be applied to small quantities of product (i.e. to package water bottles or soda together) or it may be used to wrap entire pallets of goods in an effort to keep items together and better protected during transportation. It may also be used to over wrap cartons and boxes. Because of the many different purposes of shrink wrap, shrink wrappers come in various different sizes. Some are small enough to nicely fit into a small, focused space on a factory floor, while others may take up a significantly larger area. Stretch Wrappers: Stretch wrappers are essentially a machine of a larger scale that works with shrink film to wrap pallets and other large objects. As we noted above, one application of shrink film is wrapping the likes of pallets, boxes and cartons to make sure they stand up better to any of the rigors of transportation. That’s the role that stretch wrappers essentially play. For this reason, stretch wrappers are also commonly referred to as “pallet wrappers.” Stretch wrappers come in various configurations. For instance, some employ the use of turntables, while others use straddles, while some move pallets through a ringer to be wrapped. Due to the size of the loads that are serviced by stretch wrappers, these are one of – if not the most expensive – type of wrapper. Though stretch wrappers often have the reputation as being the most expensive of all types of wrappers due to the sizes of product that they service, make no mistake about it when it comes to packaging wrappers – it’s a capital investment. But it’s an important one, as these machines are crucial to the end-of-line packaging procedures. Buy these machines brand new and it could cost tens of thousands of dollars, a price point which can be challenging for either a startup packaging company or a company who didn’t budget for a new purchase on this type of equipment. While buying a brand new wrapper is a viable option, another option is buying a wrapper that’s been previously owned and used. Service providers like Bid on Equipment have a range of previously used wrappers available for a fraction of the price of a new one that work just as well, a big benefit to those packaging companies that don’t have the money to spend on something brand new. By utilizing a credible site like Bid on Equipment, it’s like you’re getting something brand new, but at a used price. 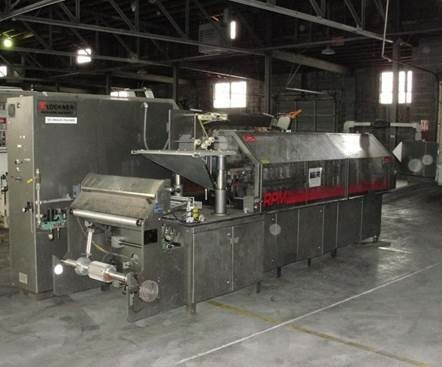 For more information on packaging wrappers, and to browse Bid on Equipment’s inventory of wrappers, visit the company website or contact it today. What has been bringing buyers to Bid on Equipment through the month of April and what are they looking for when they are here? This last month we noticed a large increase in interest inTanks For Sale including: Jacketed Stainless Steel Tanks, Non Stainless Tanks, and Special Use Tanks. Whether it be a single-family home, a housing complex or a commercial facility, air conditioning is an important part of keeping residents, employees and customers comfortable, especially in the warm weather months. Air conditioners come in several different varieties, with the most popular being the small window mounted units and the bigger, central air systems. Many people take air conditioning for granted, only really coming to realizing its importance in helping them feel comfortable when there’s a problem with their unit or when they realize that their unit may require replacement. But have you ever really thought about how air conditioners work, whether its a window unit, or room air conditioner, or a central air conditioner? In this post, we’ll get into the basics of air conditioning, how air conditioning units work and briefly get into more depth regarding some of the different types of units available. The value of the evaporator: The evaporator is a crucial piece in any air conditioning unit. Simply put, the evaporator is essentially just cold indoor coil. The evaporator works together with a condenser to cool a home and release any captured heat outside of the facility that is being cooled. Condensers are the opposite of evaporators – they are hot outdoor coil. The pump: Also commonly referred to as the “compressor,” the pump’s main function is moving refrigerant gas between the aforementioned condenser and evaporator, forcing it through the copper wire tubing that connects the two air conditioning components. It also helps it move within the fins in the coils. The refrigerant then is converted to a liquid and is eventually evaporated in the evaporator coil. This, in turn, leads to heat being removed from the home – causing the home or the facility to become cooler. Outside of the home or facility, any heat captured is removed through the condenser, which works to convert refrigerant into a liquid state, which can then be moved back into the house to continue to perform its cooling. “BTU” stands for “British thermal units” – and this just so happens to be the unit of measurement that defines an air conditioner’s performance output. Specifically, a BTU is defined as the amount of heat that is necessary to raise a pound of water by 1 degree Fahrenheit. Generally speaking, larger facilities will need units with higher BTUs than smaller homes and facilities. For example, an air conditioning unit rated 10,000 BTU should be adequate for a single-family home that’s about 1,200 to 1,500 square feet. That’s because it has the capability of cooling 10,000 pounds of water, which equates to about 1,200 gallons, of water 1 degree in one hour. A larger, 2,000 square foot home will likely need an air conditioner with more BTUs – perhaps about 60,000. As we mentioned, the size of the facility that you want to cool will dictate the type of air conditioner you need and what amount of BTUs you’ll want it to have so that all occupants can stay comfortable during the dog days of summer. These two aforementioned factors may not only lead to your air conditioning unit failing to work up to par, but they can also cause utility bills to escalate. What’s more is that these factors can also cause the compressor component to work harder on your air conditioning unit, potentially even causing it to fail if the problem isn’t addressed in a timely manner. Leaks: Remember, the evaporator and condenser are connected by hoses and tubing. And when you’re dealing with hoses and tubing, there’s always the potential for leaks. So check these hoses periodically to ensure that refrigerant is being transported properly. Air filter: The air filter can become very dirty in your air conditioning unit, which can cause the unit to work harder. That’s why it’s recommended that you change the filter at least once every month, especially in the summer months when it’s often in use. Vegetation: This issue is perhaps the easiest to resolve – keeping vegetation at bay. With that in mind, make sure any bushes or trees are at least 2 feet away from the air conditioning unit so airflow has the chance to proceed as intended. Preventative Maintenance: While this comes at a cost, it’s never a bad idea to have a professional out to give your air conditioning unit a tune up every spring. An HVAC contractor will look over all of the components and make adjustments and repairs as necessary to make sure it’s operating up to snuff. Preventative maintenance is especially important for homes or commercial facilities that have large, expensive central air units, as it’s important to protect that investment. Room Air Conditioners: These are usually mounted in windows and designed to specifically cool a confined room or small area. Unlike central air conditioners, which use ducts to distribute the air, room units use fans. Generally, these units can be plugged into a standard electrical outlet. Central Air Conditioners: Usually the condenser is outside of the house and the evaporator is inside the home in the air handler component of the unit. These units run air through ducts, dispersing it throughout the entire home or facility. Air conditioners are a vital piece to any facility, and they’re not a cheap replacement. That’s why it can make sense to either purchase used parts or a used unit if you’re ever in a bind and need to acquire such on a more affordable level. 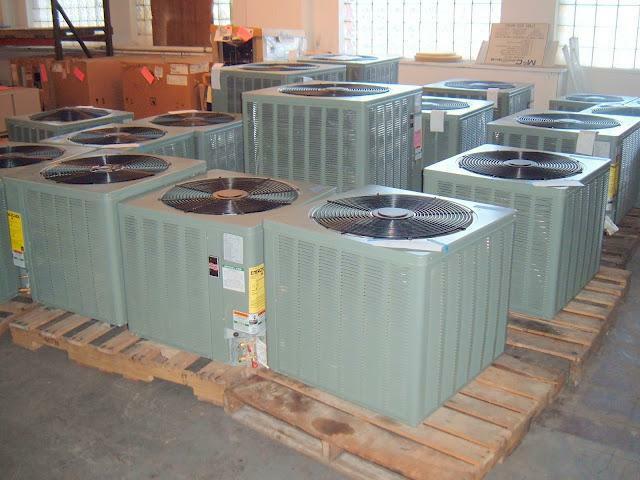 For more information on air conditioners, and to browse Bid on Equipment’s selection of units and components, contact the company today. Carbonated beverages are unquestionably a big hit here in the United States. Whether it’s soda or beer, consumers love them. And when there’s demand for such beverages, it only makes sense that manufacturers continue to churn out the products. Simply put, carbonated beverages are those that contain carbon dioxide dissolved in water, which thereby creates a fizzing and bubbling sensation in the particular drink. While carbonation can occur naturally, when it comes to carbonated beverages like sparkling water, beer and soda, the carbonization is completed artificially in an industrial plant. Consumers enjoy carbonated beverages for the fizzing taste and manufacturers enjoy making such drinks because they’re easy to distribute and the carbonization gives such beverages a long shelf life. As we noted in the opening, there is a lot of equipment that is needed for a carbonated beverage line. This equipment variety consists of things like mixing and blending units, sugar dissolving equipment, carbonators, homogenizers, pasteurizers, heat treatment machines, fillers and cappers, labeling equipment and packing equipment. While this line can be extensive, especially when you consider the packaging components that make the distribution of the beverages viable, each piece of equipment plays a unique role. 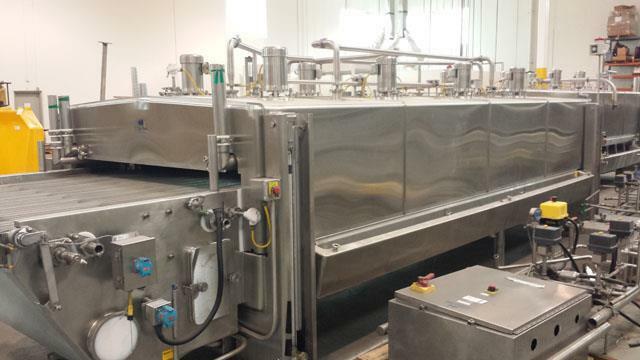 We’ll cover some of the more notable pieces of equipment on a carbonated beverage line in the section below. Mixing and Blending Units: Sodas come in all sorts of different types of flavors – and it seems that new ones are always coming out. Yes, there’s no shortage of mixing and blending when it comes to creating carbonated beverages, and this is a task that’s often completed very early in the creation of a beverage. Normally, this mixing and blending is carried out in a continuous motion. Storage Tanks: A carbonated beverage line is likely to need several storage tanks, which help carry out several key processes, such as coagulation, filtration and chlorination. These processes are all designed to remove impurities in the water mixture that’s involved in the beverage making process. Keep in mind that carbonated water makes up over 90 percent of what is in a soft drink, so the processes that make the water pure and viable for this process cannot be underestimated. Carbonators: While mixing and blending equipment help create the flavor, it’s the carbonatorsthat fittingly add the carbonation. Essentially, they are what makes a drink a carbonated beverage. The main component of a carbonator is the carbonation tank, which pumps fresh water and carbon dioxide at high pressures. This is then diffused and the water absorbs the gas into a solution. Carbonators are arguably the most important component in the beverage line – they’re also pieces of equipment that require a lot of maintenance in order to continue to perform up to their full potential. Carbo Coolers: Carbo coolers are similar to carbonators, except they also cool the liquid beverage at the same time that they carbonate the beverage. Filling and Sealing Machines: While carbonators might get all of the glory in the beverage line for taking a liquid and actually making it a carbonated one, filling and sealing machines help a beverage stay that way. And that’s why filling and packaging is so important when it comes to carbonated beverages, because if it isn’t transferred into either bottles or cans at very high flow rates and then sealed immediately, it will lose its carbonation and become “flat.” That’s why containers, whether they be bottles or cans, are normally immediately sealed with pressure-resistant closures. Labeling: When it comes to soft drinks and beer, packaging and labeling is very important in order to convey the brand. And while labeling is a big part of the tail end of a carbonated beverage line, it’s worth noting that it is not without its challenges. Labels for such beverages are usually made of either plastic film or paper, but in order to ensure the integrity of the label and that it doesn’t fail, the bottles or cans must be brought back up to room temperature to prevent condensation and ensure that the label will stick. Because they’re often cooled during the carbonation step, cans and bottles are usually hosed down with warm water to bring their temperatures up. Only then can the labels be applied. Palletizing Accessories: After the beverage has been filled and sealed in either a bottle or can, then it must be distributed. To get the product to distributors, companies usually pack them onto trays or pallets to make shipping easier. We just highlighted some of the components that are involved in a carbonated beverage line, but make no mistake about it, there is quite a bit more that is involved in such an operation. Another similarity between most of the equipment that you’ll need on a carbonated beverage line is the high cost of it. Yes, such equipment isn’t cheap, with pieces ranging from several thousand dollars to tens of thousands of dollars to even hundreds of thousands of dollars. Noting the high cost of equipment, this can unquestionably put manufacturers in a bind if a piece of equipment were to fail unexpectedly. When this occurs, there is a decision to be made – buy a brand new piece of equipment for market value or buy a used and refurbished piece of equipment that works like new but is a bit cheaper. There’s no real right or wrong answer, just situations to be aware of. And for the company that didn’t budget for a new piece of equipment, the used route may be the ideal way to go, especially if its acquired from a quality, credible source like Bid on Equipment. 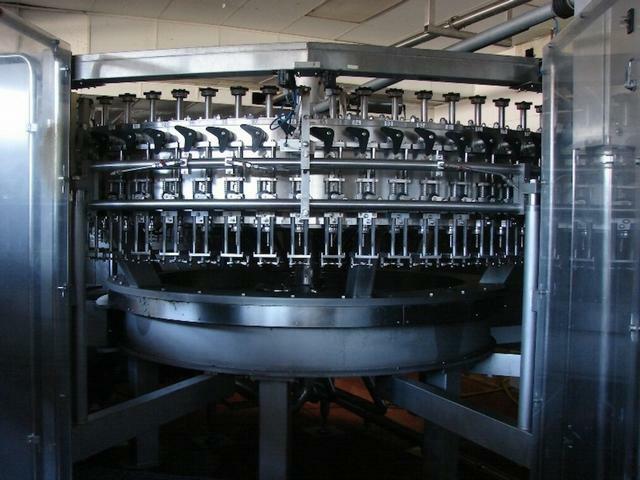 For more information on Bid on Equipment, and to browse the company’s library of used and refurbished equipment for a carbonated beverage line, contact the company today. What has been bringing buyers to Bid on Equipment through the month of March and what are they looking for when they are here? This last month we noticed a large increase in interest inUsed Fabrication Equipment including:Saws and Shears, Welding and Soldering Equipment, andRiveters and Fastening Machines. 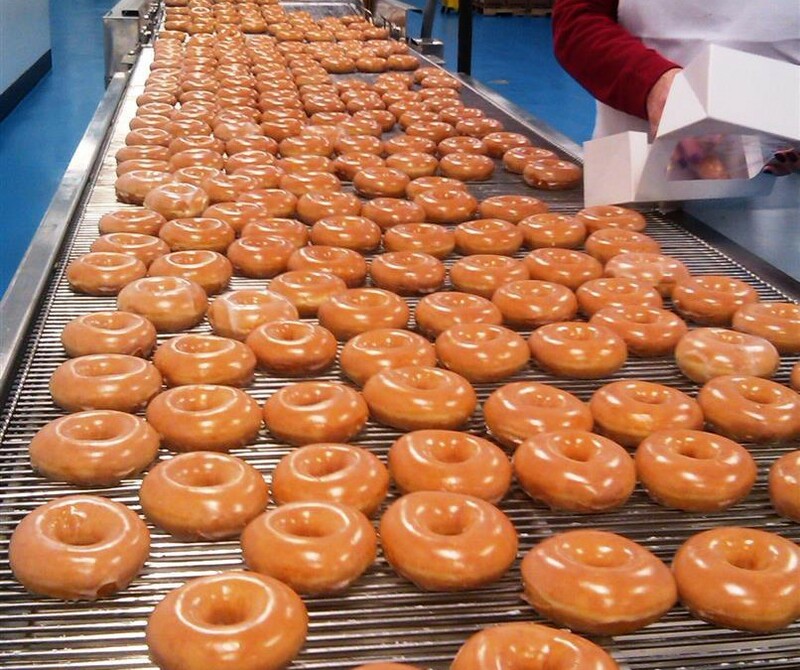 So you want to open up your very own bakery, eh? A place where you can make bread and other delicious goods to display in storefront windows to catch the eye of those passing by, enticing them to stop in for a snack or two. Yes, opening your own bakery might seem like part of living the American dream, Norman Rockwell style, but a commercial business of this nature is a far cry from making bread or baking cinnamon rolls in your home oven for just your family to enjoy. No, opening a bakery is a commercial venture, so you’re going to have to be certain to have enough – and the right – equipment on hand to produce large amounts of the baked goods that you’ll be selling to your customers. If you’re going to be opening a bakery, this is hands-down the most critical piece of equipment that you’ll need in order to do so. But the oven that you have in your home’s kitchen isn’t quite going to do the trick. No, while effective for producing goods for your family, that type of a home oven doesn’t quite cut it when you’re trying to produce commercial quantities of bread and other baked goods – at least if you want to have a decent amount of inventory for your customers and want to turn a profit in the process. So just what type of oven should you be buying? A commercial oven is fine for a startup bakery, but chances are you’ll soon need to upgrade to a convection oven. Convection ovens are essential in that they cook quickly and efficiently – some even rotate racks to make baking a breeze. It’s worth noting though that convection ovens aren’t suitable for all types of baked goods, because they don’t work well with all types of batters. Other ovens that you may want to look into include proofing ovens and deck ovens. The former is particularly ideal for bread, while the latter is good for cakes. Don’t skimp on your ovens – like we said in the opening of this section, it’s likely to be the single-handed most important piece of equipment you’ll need. Another thing that you’ll definitely need to include in your bakery are mixers. If you’re just starting up, you’ll likely only need one commercial mixer, but after you get going and gain some business momentum, you’ll likely be adding more commercial mixer units. There are various types of mixers, from floor mixers to cake mixers to dough mixers – be sure to choose the one that is best utilized for your business and what you’re intending to do. For example, if you’re going to be producing a high volume of baked goods, perhaps as part of a relationship supplying restaurants in your area, a floor mixer is the way to go. Like with the oven, you won’t want to skimp on quality, as you need a reliable mixers able to work effectively every day. Key to preserving food and ingredients is some sort of refrigeration for your bakery. If you have a bigger bakery, you’ll obviously need a bigger refrigerator than you would with a small bakery, but it goes without saying that there is more than one kind of refrigerator to consider when it comes to your operations. The most convenient – and best option for large bakeries – is probably either the walk-in refrigerator/freezer or reach-in unit, which enables easy access for both products and ingredients to better streamline operations. For smaller bakeries, however, a worktoprefrigerator unit might be the better option. Not only can these units do the job of keeping items properly cooled to avoid food and ingredient spoilage, but worktop refrigerators can also help a bakery maximize efficient use of its work space. In addition to the big three mentioned above (refrigerators, ovens and mixers), there are various other miscellaneous items and smaller pieces of equipment that you’ll need to have on hand to effectively operate a bakery. The good news is that these items are generally far less expensive than the larger items that we’ve listed above. The bad news is that there’s quite a lot of these items that you’ll need – and not having any of them on hand can really hurt your bakery from a productivity standpoint. That’s why it’s crucial to have items on hand such as pans for muffins, cakes and breads, cooling racks, dough cutters, baking sheets, rollers, spatulas, piping bags, decorating tubes and measuring cups. In addition to these smallwares, you should also be sure to invest in some utility carts for your operations. Carts come in handy when it comes to moving product from one area of the bakery to another, whether it’s a lot of small baked goods like doughnuts or one large baked good, like a wedding cake, for instance. Finally, last but not least, you’re going to need some sort of storage for your bakery. The primary purpose of such storage units is more about keeping ingredients safe and free from spoilage than anything else, as all goods and ingredients have a shelf life, after all. So what makes for good storage units? Try an ingredient bin, for starters. Such bins can usually handle around 200 pounds of ingredients and are ideal for storing the likes of flour, grains, sugar and more. 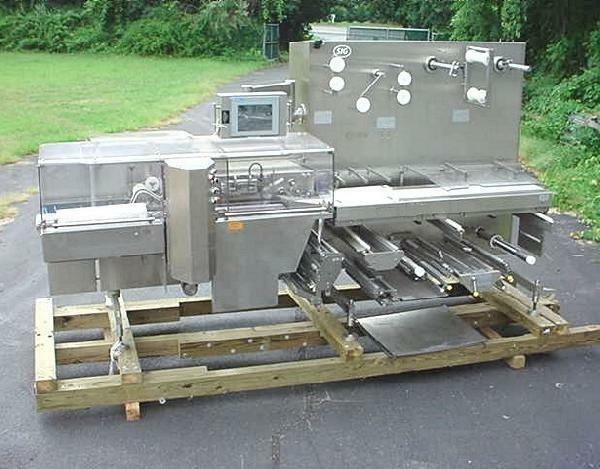 Food boxes are another solid alternative and dunnage racks are good for keeping ingredients, smaller equipment and more off of the floor. As you can see, you need quite a bit to open up a bakery. And all of this equipment tends to have one thing in common – it’s not cheap, and a high upfront cost isn’t exactly ideal for a new business, let alone a bakery where so much is needed. That’s why it makes sense to explore all your options, which may potentially lead you down the path of acquiring such equipment from a credible used equipment site such as Bid on Equipment, where you can get pre-owned machinery that works like new. For new businesses, especially bakeries, the cost savings associated with buying used can permit the business to spend on other things – like advertising to get the word out about your new bakery. For more information on what you’ll need to outfit your bakery, and to browse Bid on Equipment’s selection of ovens, mixers and more, contact the company today. You’re likely already familiar with the basics behind a basic household kettle. Also commonly referred to as a “tea kettle,” kettles are pots that are made from metal that, essentially, serve to boil water. Normally, kettles accomplish this by being placed on a stovetop, where they are heated. After the water is heated to the appropriate level, the kettle can easily be removed via its handle and poured into a cup or another container via its spout. Industrial kettles work similarly to how your standard kettle works – except that they’re much larger, thereby working to serve larger volumes of product. Also unlike your typical tea kettle, industrial kettles are usually installed for the sole purpose of heating something – and it doesn’t necessarily have to be water. For instance, breweries typically have one or more large scale industrial kettles to aid them in the beer brewing process. Another key, yet obvious difference, where industrial kettles differ from household kettles is that they’re much more expensive, potentially costing thousands or tens of thousands of dollars. While industrial kettles serve a purpose in a variety of different environments, one alternative to the industrial kettle is the tank. Tanks are somewhat self-explanatory, and, like kettles, can play a large role in heating products in an industrial environment. One inquiry, however, that’s commonly asked of us when it comes to the tanks versus industrial kettles as far as products go for a facility is when to use which and why to use which. On that note, we’ve put together a bit of a guide on when you should opt for the industrial kettle over the tank for your facility. When product needs to be heated evenly throughout: Think of when you go to heat up something in the microwave, say soup, for instance. Even if you have a rotating tray in the microwave, chances are that certain parts of the soup are still going to heat up better than others, forcing you to either eat or serve it as-is, or stir it around and heat it up some more. One of the nice benefits of an industrial kettle is that it’s unlikely to have this aforementioned problem thanks to agitators. Simply put, agitators are components of many industrial kettles that keep the product inside heated evenly throughout. There are various different types of agitators, so make sure that you select the one that works best for your situation. You need fast food preparation: The agitator feature that we mentioned above is one way thatindustrial kettles help speed up the production process. Another way these machines help do this is via a steam-jacketed feature. Aside from the speedy processing times that such kettles help ensure, there’s also a few notable quality issues that this feature helps with. For instance, kettles with the steam-jacketed feature are much less likely to burn or scorch the food product, thereby ensuring better end quality. 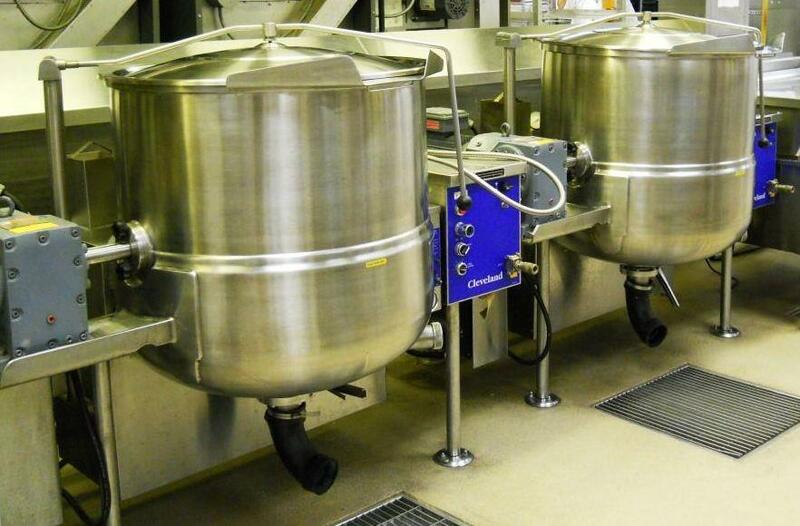 Finally, steam-jacketed kettles can also help kettles produce larger amounts of the food product. While this might not factor directly into the speed aspect of these devices, it surely helps factor into the effectiveness and processing potential of this type of equipment. You want to reduce labor: Industrial kettles, to a certain extent, run without a lot of maintenance. This is a unique feature, as it allows employees to work elsewhere in the facility while the kettle is doing it’s job to maximize employee efficiency. Kettles can also help a plant manager reduce labor costs, if that’s the particular route that they choose to take. Whatever the case, the fact is that kettles don’t require a lot of monitoring when you compare this type of equipment to other types of equipment that’s designed to serve similar purposes. Increased durability: Industrial kettles are strong – like, really strong. They’re typically constructed from metal – stainless steel, to be specific – and also available in different types of grades to serve different types of purposes. Take, for instance, 304 stainless steel. This type of metal is ideal for general purpose applications. There’s also 316 stainless steel, which is even more durable than 304 stainless steel – and it’s designed specifically for more acidic foods that could force the lesser grade of stainless steel to wear down prematurely. Versatility: Industrial kettles are also somewhat versatile when it comes to their power source. In fact, they can run off of three types of power sources – gas, electric or direct steam. The most efficient power source is the direct steam, as such kettles can actually run off of the steam from the facility’s boiler system. This method also helps the kettle process its product the fastest, compared to the other two power methods. Conversely, gas and electric powered kettles also have their fair share of benefits, notably that they require much less maintenance than the direct steam models. Aside from power source, industrial kettles are also available in two main types – tilting and stationary. The type of kettle that’s best for you will depend on what exactly you’ll be needing to use the kettle for. There are a lot of other benefits to industrial kettles, and the reasons why they should be utilized rather than a tank are plentiful. But when it comes to industrial kettles, one thing is also certain – and that’s their price tag. Kettles are very important pieces of equipment in the likes of food production facilities and other similar companies, so to say that they’re essential is an understatement. However, the high price tag of brand new kettle models can be a lot for a business to handle, especially if a kettle breaks down prematurely and it isn’t quite in the budget yet to replace it. That’s where a credible used equipment and appliance site, such as Bid on Equipment, can come in really handy, as it offers businesses and individuals the ability to bid on like-new machinery for a used price. The cost savings associated with going this route, as opposed to buying brand new, can pay big dividends for a brand’s bottom line, permitting them to keep operations at where they should be without breaking the bank on a new piece of equipment in order to do so. For more information on industrial kettles, when they should be used versus a tank and to browse Bid on Equipment’s line of such kettles, contact the company today.